Micro, along with Grow and Bloom form a nutrient base that is valid for the vegetative and flowering stages, simply changing the doses. With the Ph technology, you can perfectly regulate the Ph with the Advanced additive that come with them. 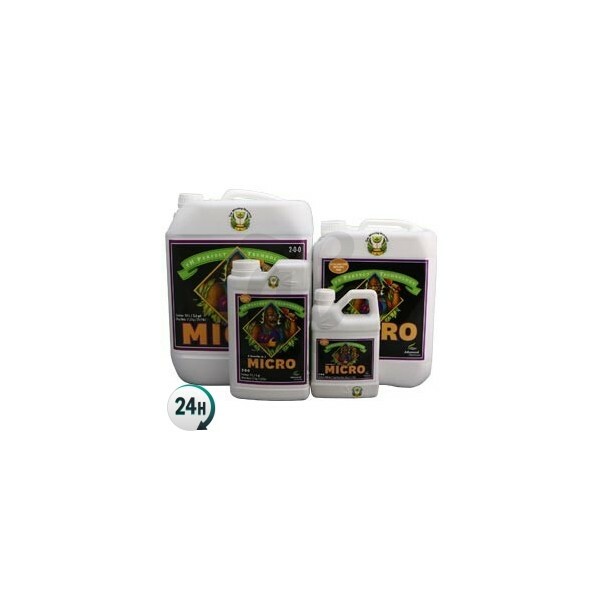 Micro, together with Grow and Bloom by Advanced Nutrients, form a base that is valid not just for the vegetative stage but also the flowering stage, you just have to change the dose from one to the other. Use it together with the other Advance Nutrient additives and follow the simple diagram, and you will get harvests like you never before imagined. With this nutrient base, you will be assured that you are providing an adequate Ph when you water your plants, since it automatically detects the level that it should be at according to the additives that you put in, to favor better absorption for the plant. 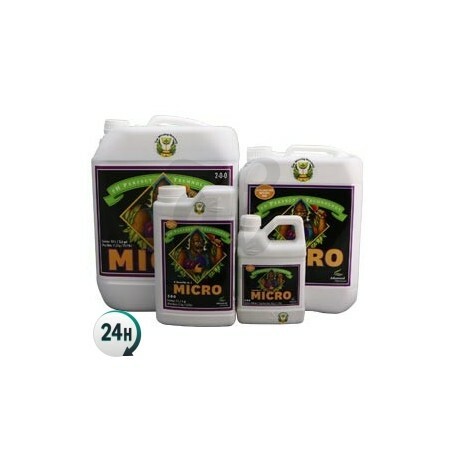 Micro is responsible for providing the micro nutrients and the essential elements for thecorrect development of the plant with your mix in the water you use for the plant; assuring yourself some strong and healthy plants with a high tolerance to stress generated by artificial light, cold or other factors. You can get some professional results at a low cost, which means a significant savings on cash. Advanced Nutrients will make your crop a top quality product. Vegetative : 6ml/L of Grow 4ml/L of Micro y 2ml/L of Bloom. Flowering : 2ml/L of Grow 4ml/L of Micro y 6ml/L of Bloom. -2,4% Calcium soluble in water. -0.1% Magnesium soluble in water. Patented blend of flowering cofactors extracted from plants. Patented balanced and stabilized pH blend.